Mumbai : Apollo Hospital recently performed a successful hernia surgery, on 101 year-old, Mr. Ram Chandra, retired Tahsildar, Belgaum, now settled in Navi Mumbai. 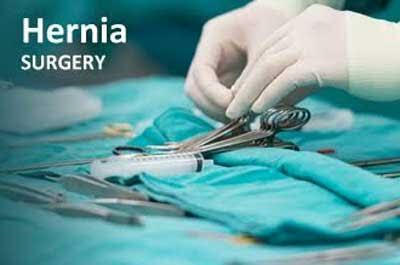 The surgery was performed by an experienced team of laparoscopic surgeons. Mr. Ram Chandra was diagnosed with Hernia at the age of 90. He had been advised against the surgery, considering his age and risks associated with it. He continued to live with the hernia until recently. He was presented at Apollo Hospitals, Navi Mumbai with a lot of pain and swelling, associated with recurrent episodes of vomiting due to irreducible groin hernia. It had become increasingly difficult for him to manage even his daily activities including walking and eating. On a thorough examination, Dr. Shalin Dubey, Consultant, Laparoscopic Surgeon, Apollo Hospitals, diagnosed that Mr. Ram Chandra had inguinoscrotal irreducible hernia near the groin and it was complex in nature.